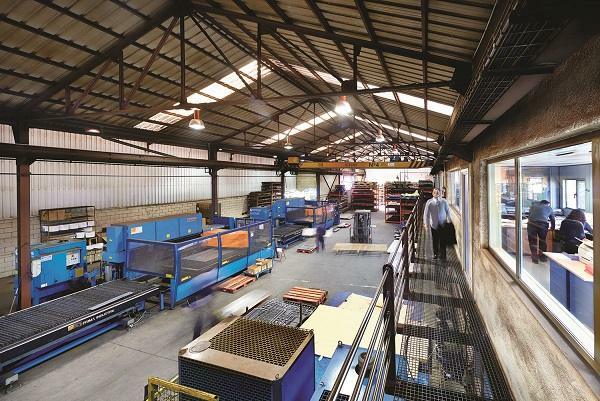 The metal industry is founded on the activity of large manufacturing companies and thousands of specialised suppliers, also known as subcontractors, in the metal transformation sector, both of which have the same needs in terms of being able to give their customers an efficient, quick and profitable response. Lantek, a world leader in the development and marketing of software solutions for the metal industry, has been developing specific tools for manufacturers and suppliers of the sector for several years. This has enabled it to achieve an in-depth knowledge of its customers' technological and management requirements. Based on its experience, Lantek knows that companies working for third parties require demanding planning, that adapts to changes and is perfectly synchronised in all departments or areas of the organisation. Furthermore, companies need to apply a comprehensive approach to the management of their own processes and proceedings with their customers. In line with these objectives, the solutions proposed by Lantek are designed to solve and facilitate decision-making of specialised suppliers, from the moment the idea is received from the customer, until it is delivered and billed. With Lantek solutions, the company manager receives solid support to be able to control all the processes and areas by efficiently managing the information through a specific design and geared towards its environment, as well as resources to significantly reduce costs and delivery times. How? Lantek has different software products that enable it to incorporate any format generated by CAD programs into the work platform, managing the nestings provided by the customers and working on files exported from external systems. One of the keys of Lantek solutions is that they are able to integrate different systems of both customers and their suppliers, achieving joint operations both in the commercial area and in the design, production, delivery, supply, administration and financial management areas.